Shot in the deserts of Spain, this spaghetti western was the third in what’s known as the “Dollars Trilogy” but the first to make a real impact in the States. Notably, the film’s director, Sergio Leone, commissioned Ennio Morricone to compose the score before filming began, so that the movie took its cue from the music and not the other way around. Amid gunfights, hangings, American Civil War battles, and prison camps, Leone directed his actors to speak their lines in whatever language they knew best. This experimental, nearly farcical artifact was then dubbed into English, which, paradoxically, unifies the whole into a surreal, operatic work of art. Sergio Leone, The Good, the Bad and the Ugly, 1966, still from a color film in 35 mm, 161 minutes. 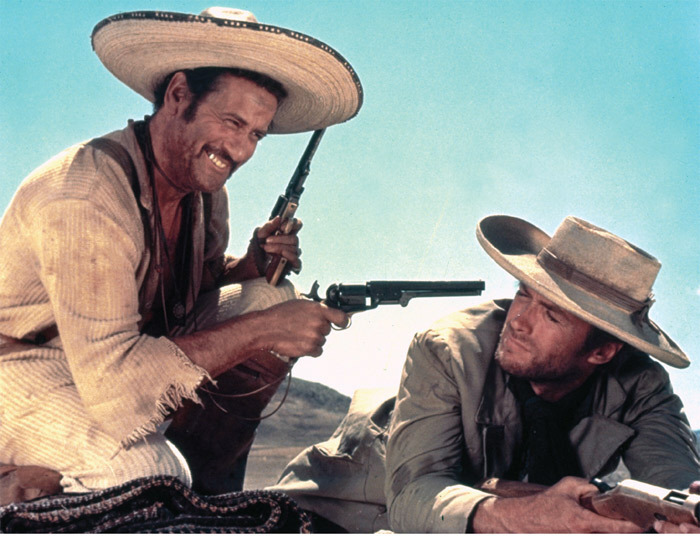 Tuco (Eli Wallach) and Joe (Clint Eastwood). Perfectly busy with Cole Porter’s beautiful compositions, each member of the Oscar Peterson TrioRay Brown on bass, Ed Thigpen on drums, and Peterson on pianochallenges and supports the others brilliantly and with humor. On some tracks Peterson “blows” from the beginning, bending the melody along the song’s harmonic structure. My twin brother, Dan, is now a professional musician. I am not. When we were teenagers he brought home this CD; jazz recordings are often reissued by various labels under various names, and this one had been titled Love for Sale with no info on the back. 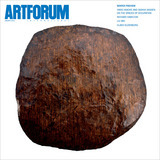 This intimate career survey presented sculptures, drawings, photography, and paintings that the American artist made between 1963 and 2011. Among the works were lead drawings, which could be taken for expressive plaques or exercises in behavioral organization, claiming territory somewhere between memorial marker and board game. Fleischner’s performative logic brought to mind the studio habits of so many artists, from Giacometti to Nauman. Richard Fleischner, Lead Drawing #3, 1973–75, cast lead, 9 x 11 1/4 x 1/4". Founded last year by curators Fredi Fischli and Niels Olsen in the former studio, garden, library, and living space of Swiss sculptor (and grandmother of Niels) Marianne Olsen, Studiolo embodies the energetic curiosity that defines young Swiss art. Channeling its restless, evolving community, this multipurpose project creates a generous forum for reading, lectures, artistic production, and exhibition. 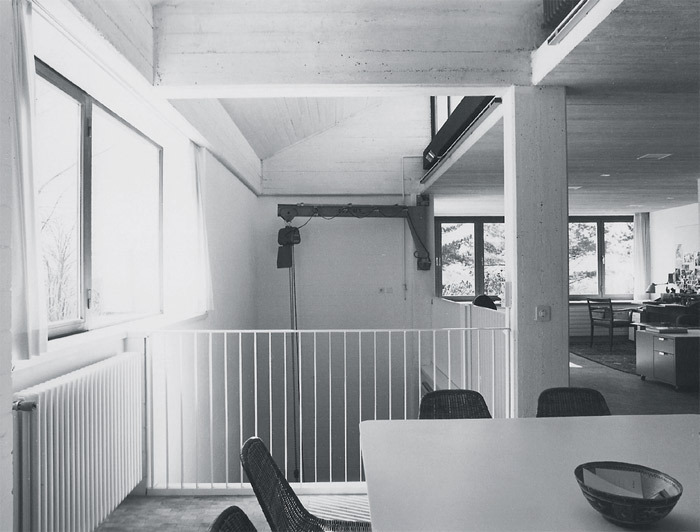 Interior of Studiolo, Zurich, 2011. With this exhibition, curator Fionn Meade explored languages of repetition, questioning notions of past and present by relating artistic production to the idea of the time line. 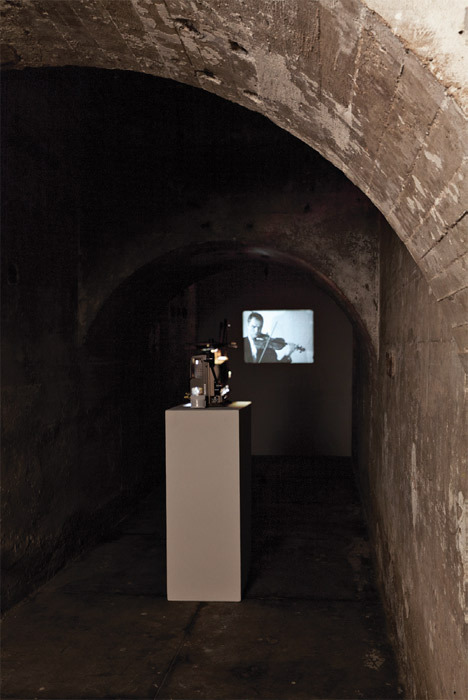 Manon de Boer’s film Attica, 2008which follows the basic structure of Frederic Rzewski’s 1971 composition of the same name (a reference to the Attica, New York, prison riot that year)was central to the show. In performing repetition, de Boer’s Attica underscores how sameness, as well as gesture, ritualized behavior, and fragmentation, can be used by artists in radically different ways to collapse boundaries between mediums, disciplines, and generations. Manon de Boer, Attica, 2008, black-and-white film in 16 mm. 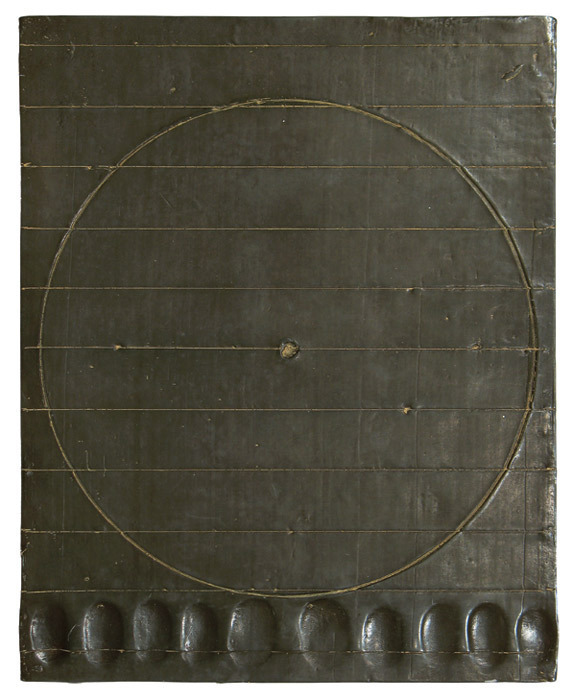 Installation view, SculptureCenter, New York, 2011. 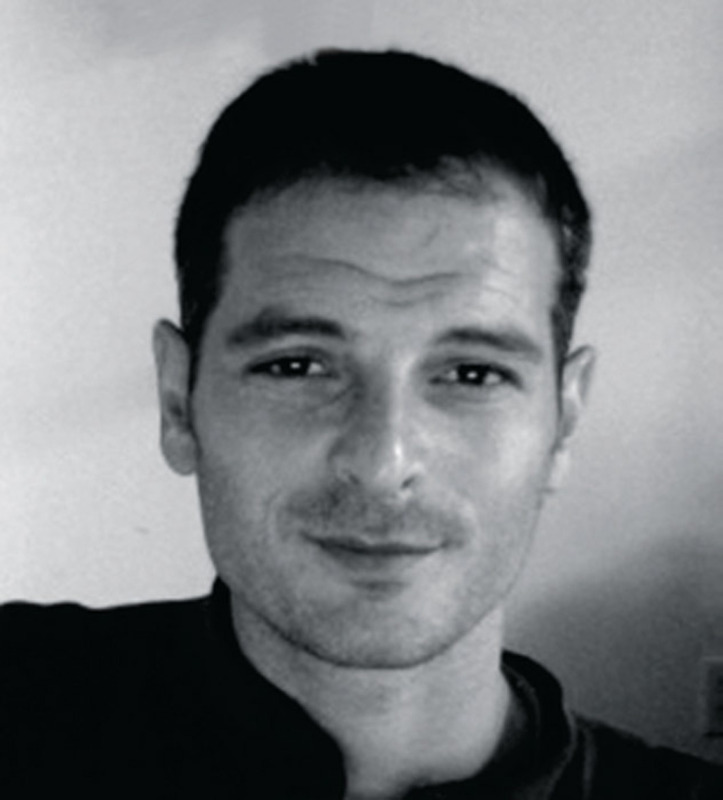 Photo: Jason Mandella. Based on Auder’s life, Chasing the Dragon offers an intense portrayal of the humor, tragedy, ambitions, and social dynamics of the early-’80s East Village scene. Here, subtitles and music are combined with verité footage, role-playing actors, and photographs to bring into perspective the artist’s own obsessive search for “truth,” in drugs, relationships, and otherwise. More than anything, this video insists on the power of artificiality as it intertwines with the realmeaning that it is very much a video; a pioneering work filled with the squirming, awkward strength of a nascent medium and the seemingly cruel manipulations of a truly magnanimous artist. In this film, Herzog tracks a deaf-blind German woman as she visits other people in the deaf-blind community, speaking with them using a palm-based language of strokes and taps. Herzog calls this work a “truth investigation,” which is apt here chiefly because his manipulative techniques are so thrillingly transparent. It’s inspiring both in the clichéd movie-world human-story sense and as an art piece, seeing how this 16-mm film so closely resonates with the properties of video. The sound track features Bach and Vivaldi, which should have been a terrible idea but, paired with such unabashedly evocative subject matter, is precisely what makes this movie one of Herzog’s best. 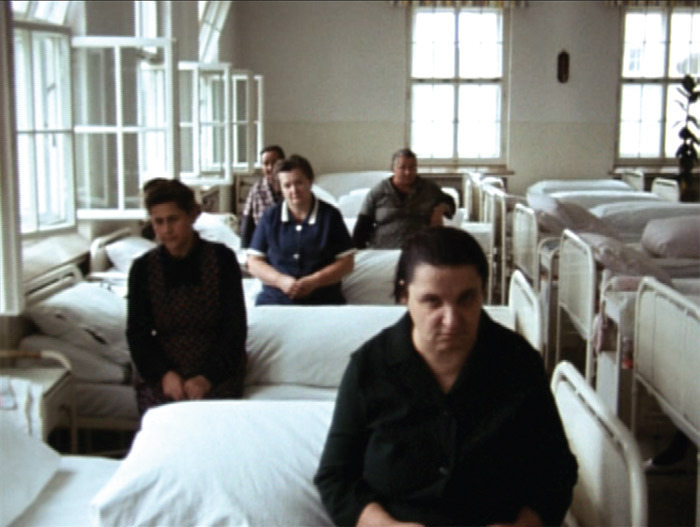 Werner Herzog, Land of Silence and Darkness, 1971, still from a color film in 16 mm, 85 minutes. This most recent font by Zurich-based Kobi Benezri is a proportional version of his monospaced Lettera, which, in turn, the designer based on an Olivetti typewriter font designed (and shelved) in the 1970s by Swiss designer Josef Müller-Brockmann. Having scanned a specimen of this obsolete typeface, Benezri reworked the lines digitally. In the process, the source material’s blurry, lo-res quality gave way to Lettera’s uniquely clear and elegant style. I read this book after visiting “The Upper Depths,” a great show by Jason Fox at Peter Blum Gallery in 2009. In a gallery tradition, books selected by their artists are presented in a glass bookcase, and this was one of Fox’s picks: the story of American icon and enigmatic figure Charles M. Schulz, the most syndicated cartoonist of all time. This book introduced me to a certain American historyelucidating life in the Midwest, and how the struggling-artist trope and the American dream have evolved in this country. Comic strips, strategically placed throughout, kept me reading. 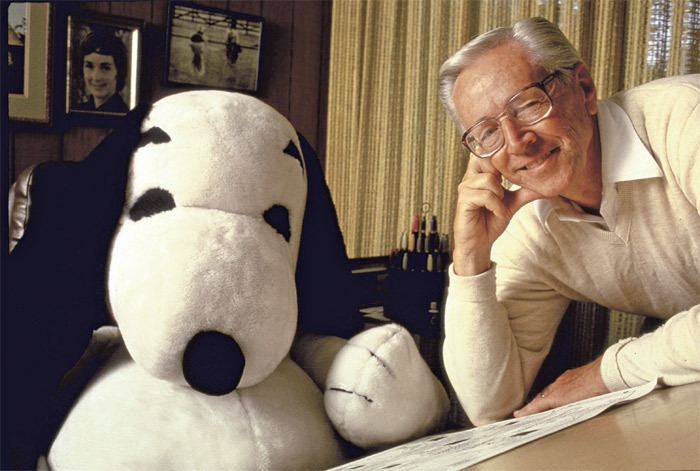 Cartoonist Charles M. Schulz with Snoopy, 1987. Photo: Matthew Naythons/Time & Life Pictures/Getty Images.